The Allotment are proud to have designed first direct’s first high street cash points. We have produced two designs – the first based on the theme of security uses a Space Invader-theme (‘Look out for people invading your space’) and the second based on the convenience of cash points uses a set of scales (‘Gain some pounds’). All the messages have been developed as part of first direct’s ‘unexpected bank’ positioning. 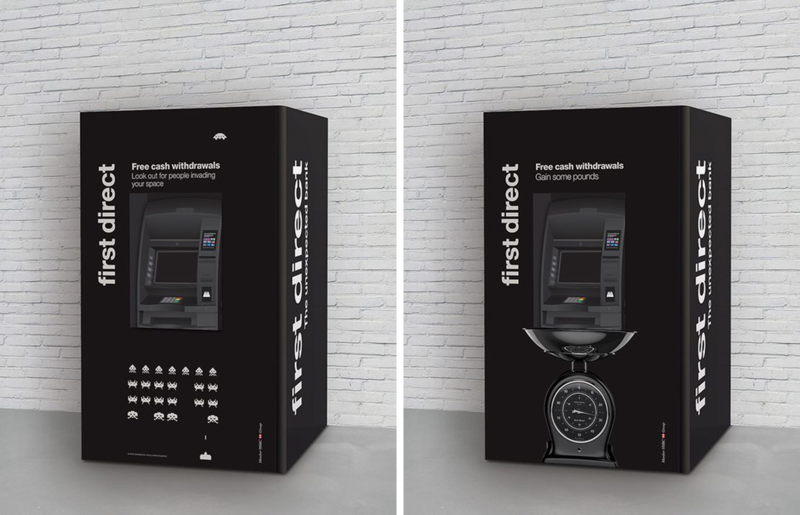 first direct will promote the cash machines via a teaser video, featuring an 'ATM spotter', that will be launched on YouTube in mid-July. The bank will also use social media and digital to support the launch. The cash machines are being rolled out as part of a six-month pilot to gauge demand. first direct will review their success before deciding whether to extend the trial across the UK.